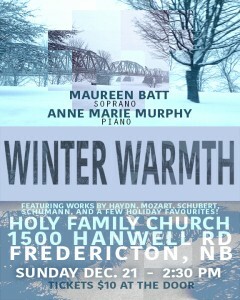 I am very excited to present this recital with Anne Marie Murphy on piano in Fredericton on Sunday, Dec. 21. 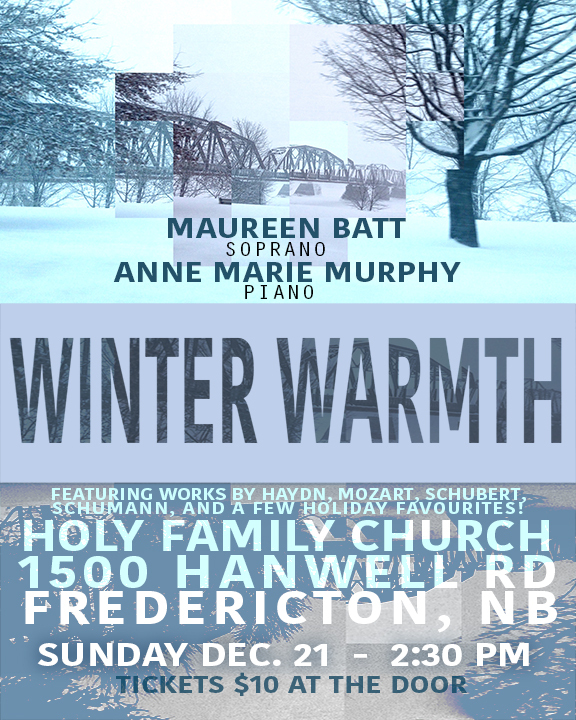 The programme will include works by Haydn, Mozart, Schubert, and Schumann, and will also feature a few holiday favourites! There will be familiar tunes to all ears–classical buffs or not. I look forward to sharing this music with you, your friends, and your family. Come one, come all! Enjoy some winter warmth!